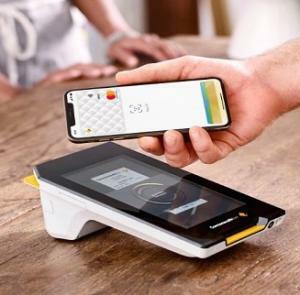 Australia’s Commonwealth Bank Sees Jump in Mobile Transactions with Apple Pay, Though Still Small Share of Total Card Use | NFC Times – Near Field Communication and all contactless technology. The Commonwealth Bank of Australia is reporting strong use for Apple Pay since it launched participation in the NFC payments service in January. CBA had been one of the banks balking at supporting Apple Pay in Australia. The jump could also indicate that not many people were using CBA cards in Google Pay, Samsung Pay, Fitbit Pay, Garmin Pay and the bank’s own mobile app leading up to its adoption of Apple Pay. Still, the fact that CBA is talking about strong initial results with Apple Pay is a far cry from its posture when Apple launched the payments service in Australia in 2016. Then, the bank joined with two of the other big four Australian banks, National Australia Bank and Westpac, along with Bendigo and Adelaide Bank, in an unprecedented move to ask the country’s Competition and Consumer Commission for permission to bargain collectively with Apple to try to gain access to the tech giant’s NFC technology in its iPhones. The banks said they would jointly boycott participation in Apple Pay during the negotiations. Article has about 860 words.